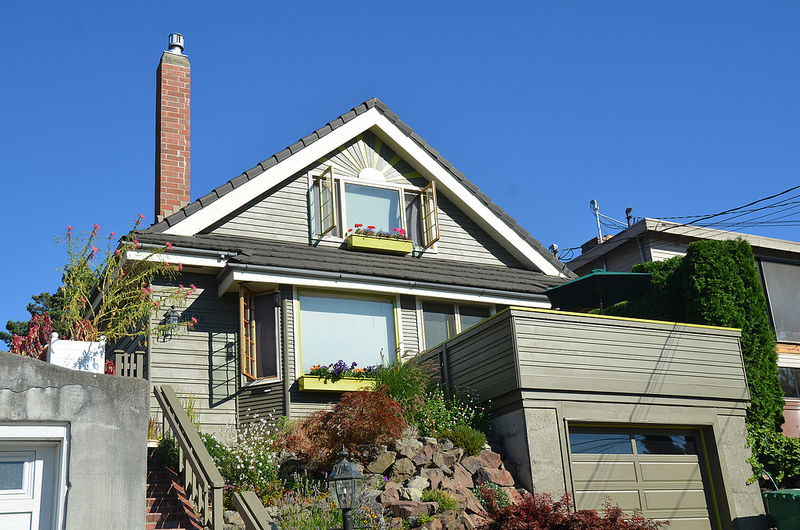 The urban area of Seattle is home to many lively and unique neighborhoods, and has a robust housing market. With the many available options here, you’ll want to find a great real estate agent to provide guidance and advice for a smooth transaction. When it comes to choosing an agent, trust and reputation are the two most important considerations. Whether you’re buying or selling a home, a few key factors come into play when finding the right agent for you: local knowledge, experience, and reliability. Of course, you also want to find someone with strong negotiation skills and demonstrated success in closing the deal. How do you go about finding the best of the best? To save you some time in your search, we have researched the top 15 real estate agents in Seattle, WA—all of whom we felt met the above requirements. Listed in no particular order, here are a few fine agents that can help you make the most of your real estate experience. Kevin Lisota – The CEO and co-founder of findwell.com, Kevin’s technological background provided him with the expertise to create an innovative real estate company. Local Huskies may confuse his alma mater, but Kevin touts his degree from the “real” UW—the University of Wisconsin! Heather Dolin – Heather empowers her clients to make confident decisions. As a true client advocate, she focuses on building long-term relationships and offering unsurpassed customer service. Lisa Turnure – A Seattle native with 25 years of business experience, Lisa is keen on creating communities, not just selling homes. With a background in finance, she understands that homes are both a financial and emotional investment, and keeps this forefront in mind when working with clients. Michael Menin – Recently awarded “Best in Client Satisfaction” by Seattle Magazine, Michael’s successful negotiation tactics were learned during his years working in national advertising sales. He is also a native of Washington state, and has a love of the outdoors—spending his spare time hiking, fishing and camping. Jamee Rakus– Featured in the Seattle Times as a top agent negotiator, Jamee Rakus of Rakus Real Estate has over 20 years of experience while staying on top of current real estate trends. Jamee specializes in the neighborhoods of West Seattle, where she was born and raised, and continues to be actively involved in the community. Kim Colaprete – Kim has been through the ups and downs of the Seattle market over the past decade. A former non-profit operative, she brought her passion to real estate in 1999, and today manages the reputable and fun-loving Team Diva at Coldwell Banker Bain. Paul Cantu – Paul is the owner and broker of Cantu Group Real Estate, a family owned and operated business. As a local and independent Realtor, Paul is able to give his clients the close attention and care that they deserve. Elena Neely – Do you need a bilingual agent that speaks Russian? Elena is your gal. With a MBA in International Finance and calm personality, she possesses the analytical and facilitation skills necessary to help smoothly guide her clients on their purchase of a first home. John Madrid – Consistently rated as a “Five Star” real estate agent by Seattle Magazine, John is a Seattle native residing in the North Seattle area. A broker at the renowned offices of John L. Scott, Madrid has a highly specialized skill set in relocation services, luxury homes, and construction management. Teri Herrera – Operating out of Bellevue at Windemere Real Estate, Teri is a well-known agent in the Seattle area and beyond, having been featured in national magazines like Newsweek, Money Magazine, and the Wall Street Journal, to name a few. With exceptional drive and focus, Teri has made a name for herself in the luxury home market. Brian Hopper – As President of the Hopper Group, Brian gets the full picture—from initial staging (they have an in-house designer) to final negotiations. With tremendous enthusiasm and cutting-edge marketing strategies, Brian provides a high quality of service to his clients. Jeff Josephson – With a Master of Business Administration degree from Oxford University under his belt, and a second bachelor’s degree in progress, Jeff’s love of learning is a considerable asset when it comes to staying on top of the real estate field. A member of American MENSA, as well as a Big Brother and Eagle Scout, this well-rounded agent keeps an edge on the competition. Arron Renfrew – Arron’s “work hard, play hard” mentality serves him well in the competitive real estate market, where fly fishing and horseback riding hobbies help balance his driven work ethic. Arron is no stranger to his career; growing up, he helped his father manage property in Issaquah. Tyler McKenzie – With an excellent track record and credentials, Tyler knows that timing is everything when it comes to results. A top seller at John L. Scott, Tyler is also highly involved in community service, often appearing on Public Television’s KCTS Channel 9 during pledge fund-raisers. Doron Weisbarth – Doron bought his first home while in graduate school at the University of Washington, and early on, began his real estate career as an investor. Having grown up in Israel, Doron is fluent in Hebrew, but now calls the Phinney Ridge neighborhood of Seattle home sweet home. If you have had a positive experience with any of the above agents, recommend your top choice in the poll below!